If you or a loved one has been injured in a car accident that was caused by another person’s negligence, contact the Law Offices of J. Jeffrey Herman, where our Camarillo car accident attorney will work directly with insurance companies and other parties involved to secure the compensation you need after an accident. Posted in Car Accident Attorney on Saturday, Jan 05, 2019. Last week, a crash in Camarillo took the life of an Oxnard man and injured one other person. Police say that at around 6:20 a.m. On January 7, the driver of a Nissan pickup truck was driving westbound on State Route 34 when his vehicle drifted into oncoming traffic. He slammed head-on into a Ford F-250. The driver of the Nissan, a 65-year-old man, died at the scene. The driver of the Ford sustained injuries and was taken to the hospital. While the exact cause of this accident is still under investigation at the time of this writing, at the Law Offices of J. Jeffrey Herman, we know that vehicles accidents are unpredictable. No matter how safely you drive when you hit the road, you cannot control the actions and behavior of other drivers around you. If you need a Camarillo car accident attorney to help recover compensation for your accident-related expenses, call us today. California has a large population and we get even more crowded considering how many people visit the state year-round. Think about how many people are on our roadways, even here in Ventura County. Have you ever considered the total cost of these vehicle accidents? Yes, property damage is one thing, but serious injuries can lead to medical bills that rise into the hundreds of thousands of dollars. Will your insurance cover all of that? Will it cover hidden costs like lost wages or loss of enjoyment of life damages that a person experiences? 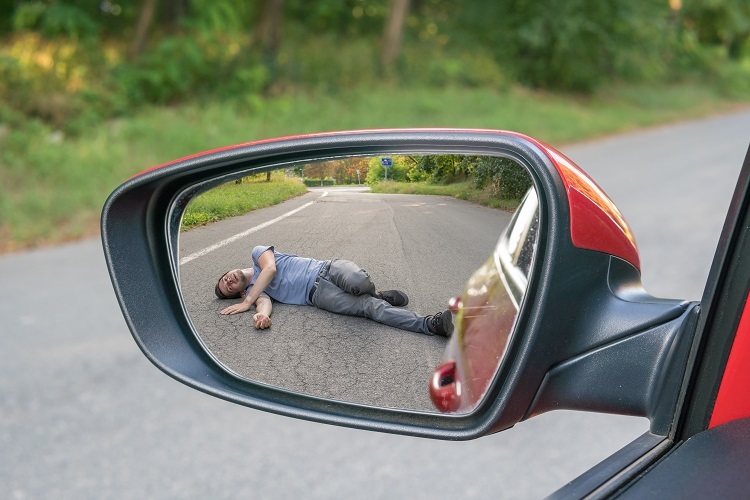 While many accidents are not caused by the overt negligence of other drivers, there are some things that drivers do that lead to serious accidents. Impaired drivers are dangerous to anyone on or around the roadway. This includes passengers in other vehicles, motorcyclists, and pedestrians. Distracted driving is a major area of concern. A 2017 survey of California drivers revealed that over 50 percent of Californians say texting while driving is the most serious distraction for drivers. Aggressive drivers and those who speed are the number one cause of accidents in California. Anytime a driver’s extreme negligence causes someone else harm, they should be held accountable. If you need a Camarillo car accident attorney, you can contact us for a free consultation by clicking here or calling 805-983-2344.